RTC3 click carries BQ32000, a real time clock with an integrated trickle charge circuit for automatic switchover to a backup power supply (the circuit maintains the backup charge with an onboard super capacitor). 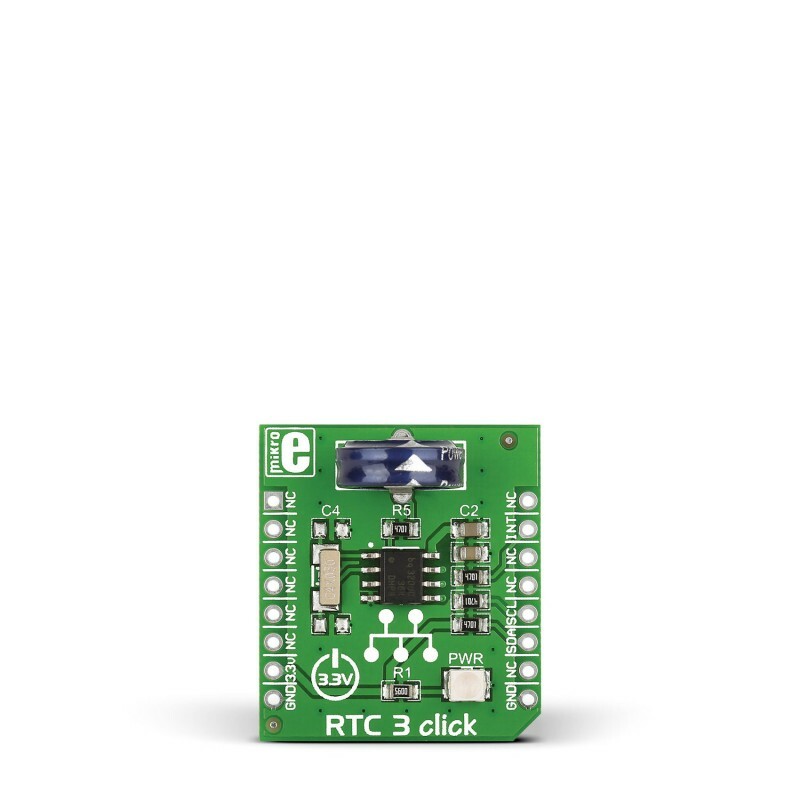 RTC3 click carries BQ32000, a real time clock with an integrated trickle charge circuit for automatic switchover to a backup power supply (the circuit maintains the backup charge with an onboard super capacitor). The clock frequency is derived from an onboard 32.768KHz oscillator. 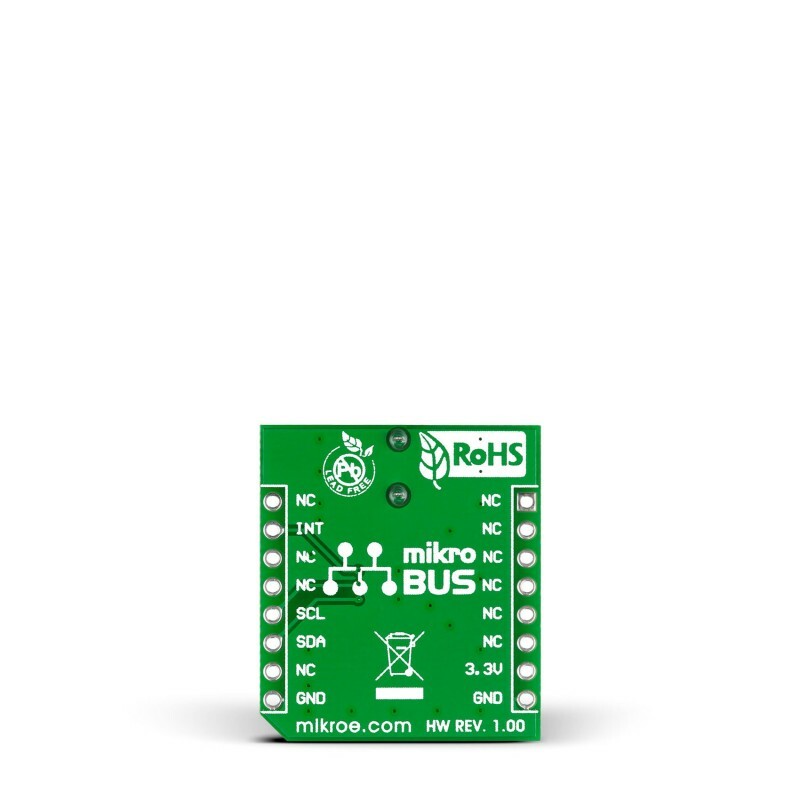 RTC3 click communicates with the target board microcontroller through mikroBUS I2C lines: SCL, SDA. 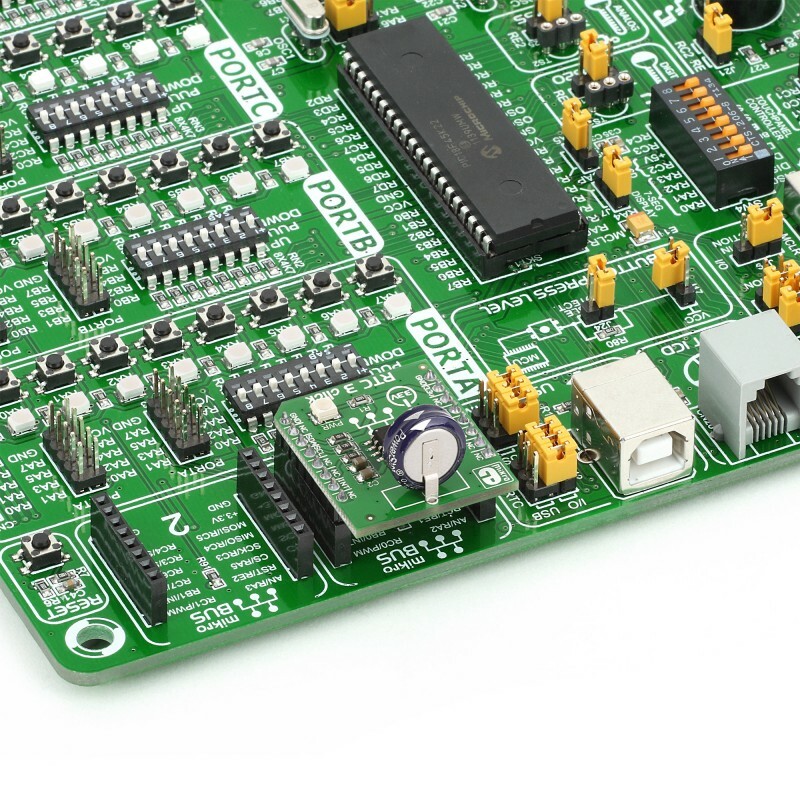 In addition, the INT pin serves as a configurable interrupt output. 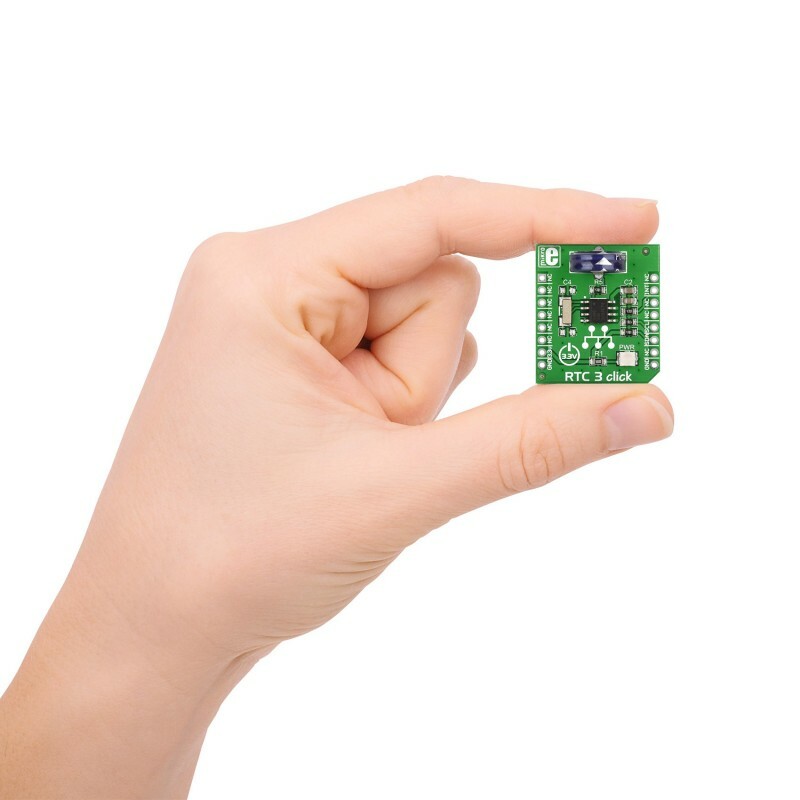 The board is designed to use a 3.3V power supply only.